Michael Thomas and Derek Mah, lawyers with Harper Grey’s Critical Injury practice group, will lead the mock trial and provide very practical and hands on advice on how to be a good witness. Both Derek and Michael have extensive experience in this area and are delighted to share information on this topic. $105.00 per person registration fee. For more information, download the event flyer. This event will also be live-streamed for those unable to attend in person. Research suggests mental health conditions can affect anywhere from 1 in 4 or up to 50% of Canadians in their lifetimes. The probability of knowing someone directly impacted by a mental health condition is almost 100%. Historically therapies revolve around medications and psychological interventions. Incorporating other psychological (i.e., thoughts, emotions and behaviours) and social dimensions into the rehabilitation plan move towards a more holistic biopsychosocial model of care. VRA BC is pleased to present an entire day devoted to the topic of mental health and work, expanding upon this model of care. During the morning session Registered Psychologist Dr. Macy Lai will address the topic of effective treatment delivery models and return to work. Participants will have the opportunity to hear about the latest treatment approaches and how this can be integrated into their return to work plans with clients. Following this Greg Gauthier with the International Association of Fire Fighters (IAFF) will present on his experience coordinating his own return to work following a mental health leave, and how his process highlighted and addressed organizational and systemic barriers to treatment that exist for many firefighters in BC. After lunch and the AGM, we are pleased to present Stuart Ellis-Myers (a.k.a. ‘Twitchy’), the world’s only Vocational Rehabilitation mastery keynote speaker living with Tourette Syndrome. In this interactive, laugh-while-you-learn, experientially-based keynote Stuart will share all of the mental health to mental wealth life lessons learned through years of battling this often emotionally debilitating condition. Participants will be invited to explore their own humanity while learning how to effectively detect, triage, and safely manage clients who are overwhelmed by stigma, crippling symptoms of mental illness, and the dual diagnosis of addiction/substance abuse. Rounding out this provocative day are Dr. Marc White and Dr. Shannon Wagner with the Workplace Wellness and Disability Prevention Institute (WWDPI). In a series of systematic reviews Dr. White and Dr. Wagner identified worker, workplace and system-based factors contributing to prolonged work absence, and identified interventions that impacted some of these risk factors. During this presentation they will share highlights from this work and outcomes relevant to vocational rehabilitation professionals. New for 2018 our valued event sponsors will be front and centre, as they present their new and innovative products and services during short, Hollywood-style elevator pitches situated throughout the day. 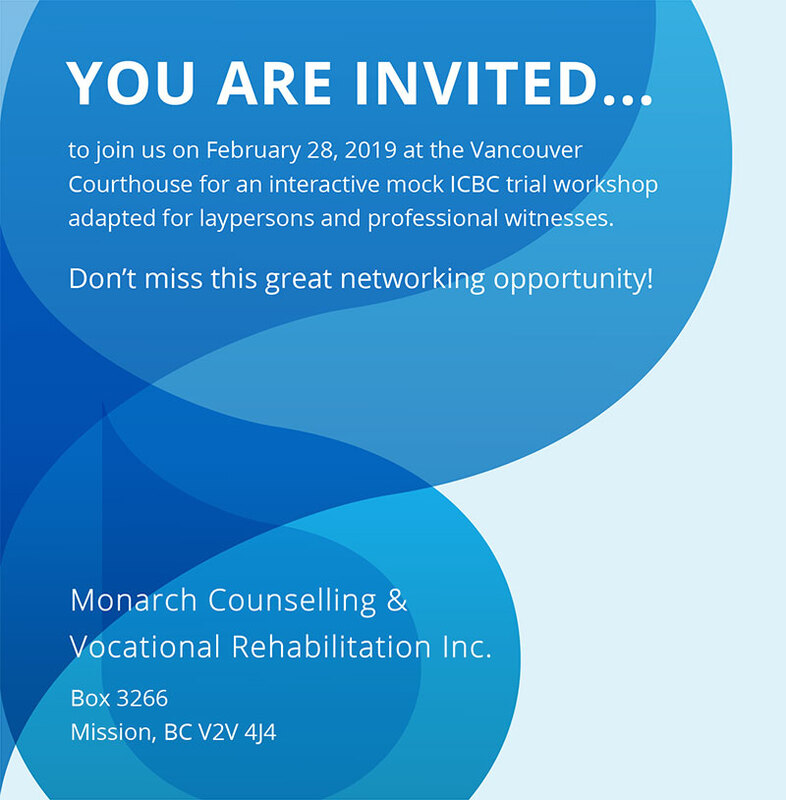 This event will be of interest to vocational rehabilitation professionals, and allied professionals who work with clients engaged in the return to work process including occupational therapists, kinesiologists, physiotherapists, speech language pathologists, psychologists, and counsellors. Visit the event page for more information and to register!